We have a life-long commitment to animals. 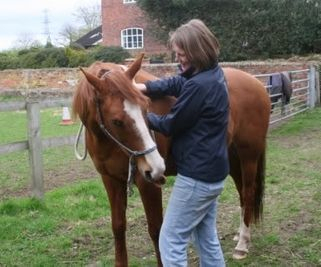 I have had various animal related jobs including, manager of a large riding establishment, horse riding instructor and handling animals for films and TV. For the past six years I have been working part time at Best Friends Grooming Salon just around the corner. We have been involved in dog obedience and training clubs both personally and in support of our, now grown up, children who regularly compete at Crufts in various disciplines. Our family have had many dogs some of which have been from rescue homes and some have needed much patience and time to overcome problems. 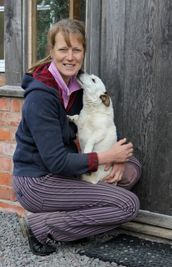 I am a BHSII Equine Touch Practicioner and I have also completed a course in Canine Touch which is a non-invasive, holistic hands-on-energy and muscle release technique. Our house is a former working farm nestled at the foot of the south Shropshire hills 1.5 miles from the village of Stapleton. It is home to, not only us and the dogs but four horses, three pet sheep various ducks and chickens and a cat. 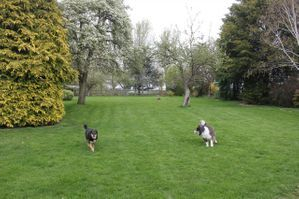 There is a large secured garden and seven acres of fields to exercise in. 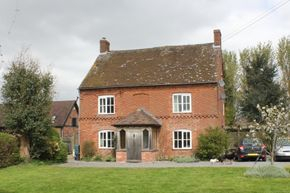 The house is situated in a quiet country area away from busy roads with numerous footpaths in the vicinity to explore.